Edinburgh is a wonderful, beautiful and historic city that’s often ranked as one of the top city destinations in the world. We have so many interesting things to see and do here that it’s impossible to mention them all. Here are just a few of my top Reasons to visit Edinburgh. We have our very own castle right in the middle of the city. 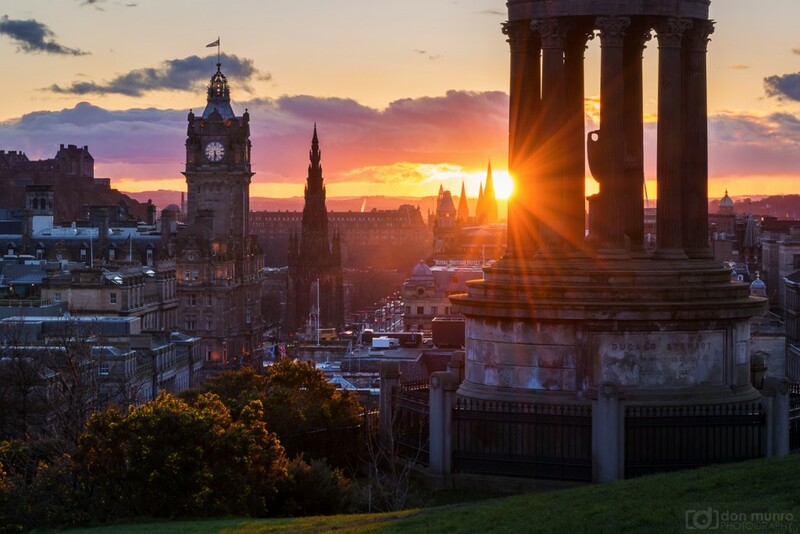 Not only is this one of the highlights within Edinburgh, it’s also one of the top tourist destinations in the whole of Scotland and the U.K. Towering above the city you can see views for miles around as well as exploring the many historic sights and treasures inside. 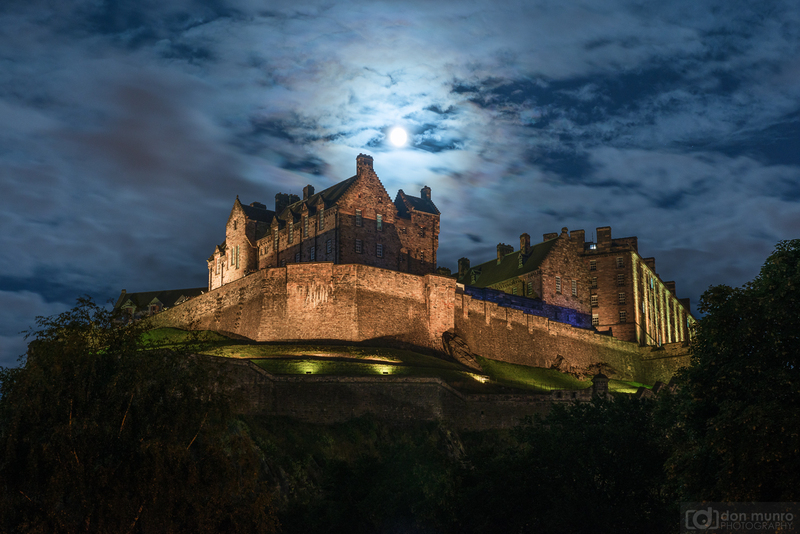 Built on top of an ancient extinct volcano, Edinburgh Castle dominates the skyline. This particular view is from the grounds of The Parish Church of St. Cuthbert. 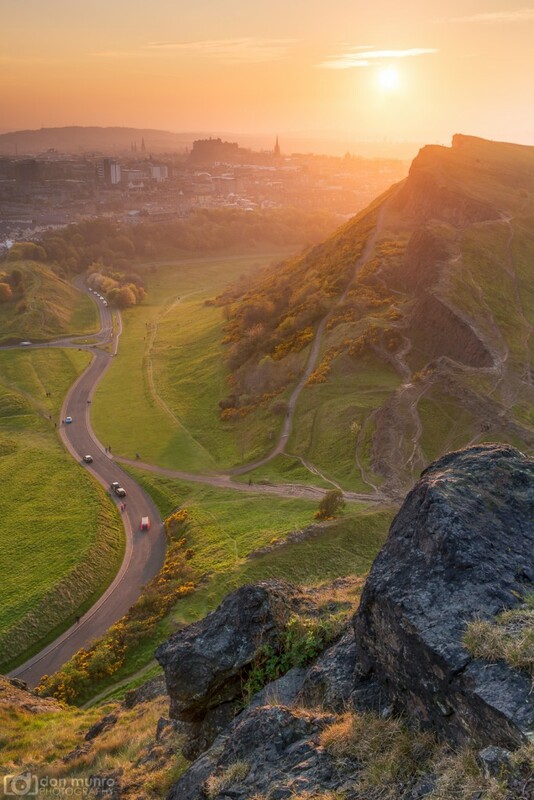 Arthur’s Seat and Salisbury Crags. This is the remains of another ancient extinct volcano. Today it’s one of the best vantage points to view the surrounding city and a great place to escape to if you’re wanting to enjoy more natural surroundings. Many locals enjoy walking or jogging here and it’s also a popular sunset destination. 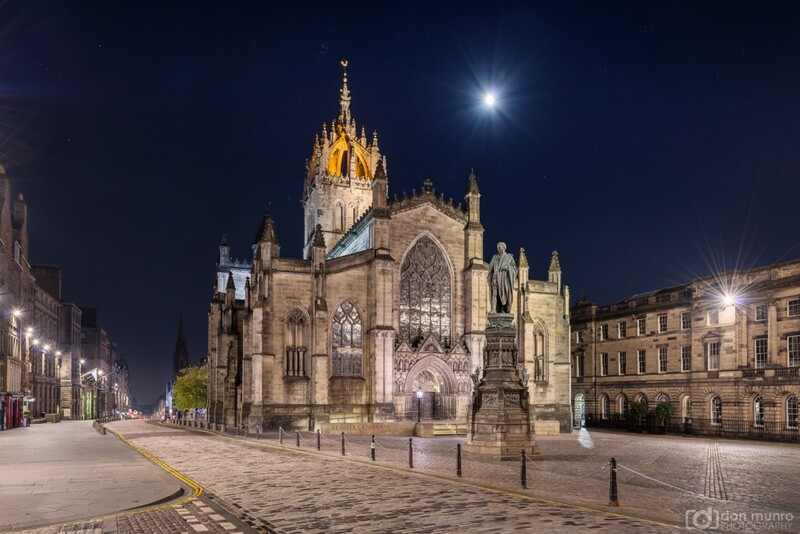 Also known as The High Kirk of Edinburgh, St. Giles is located on the Royal Mile, right in the heart of the Old Town. Possibly one of the most impressive buildings within the city, this church has been one of Edinburgh’s religious focal points for hundreds of years. It looks fabulous on the inside too. 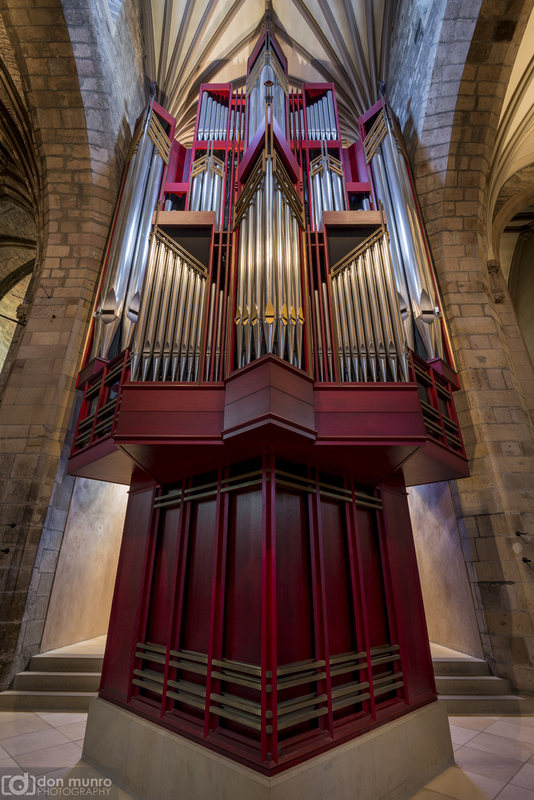 This is a panoramic image which hopefully gives you an idea of the scale and grandeur of the building. The organ sounds incredible too. I hope you’re lucky enough to be there when someone’s playing it. 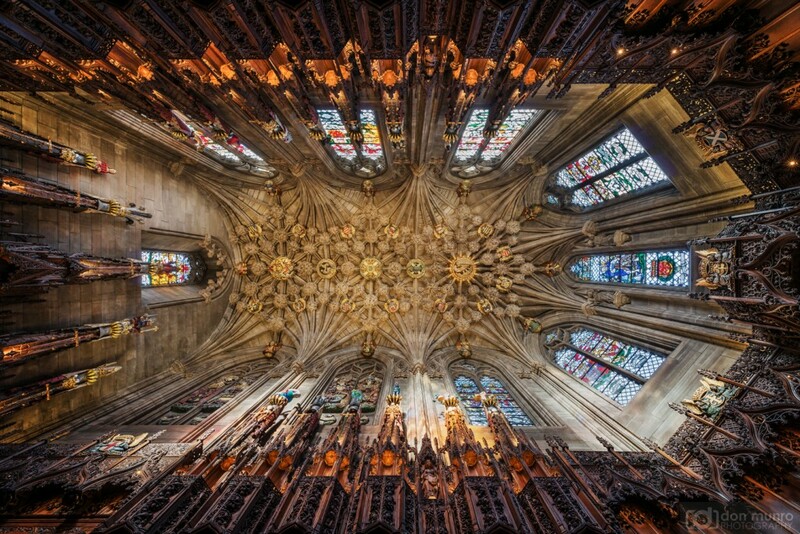 Don’t miss the Thistle Chapel hidden at the back of St. Giles. With stunning stone and wood carvings, this is one of the most special areas to visit. Local guides within St. Giles often open it up at various times throughout the day and give a fascinating commentary on its origin and purpose. Parks, gardens and green spaces. With a world famous Royal Botanic Garden and dozens of parks and green spaces, there’s always somewhere you can go to escape the rush of city life. In fact Edinburgh is probably one of the most green cities you’re likely to visit anywhere. 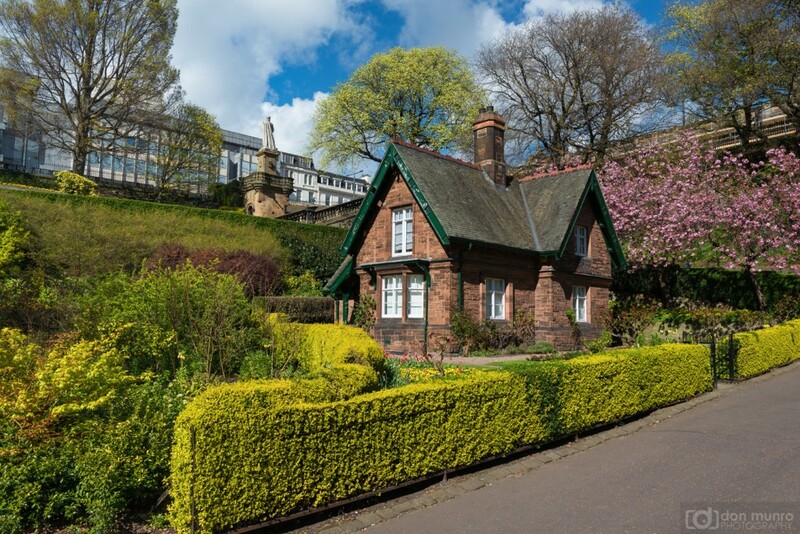 This is the Gardeners Cottage within Princes Street Garden. Visitors often comment that it looks like something out of a fairytale. 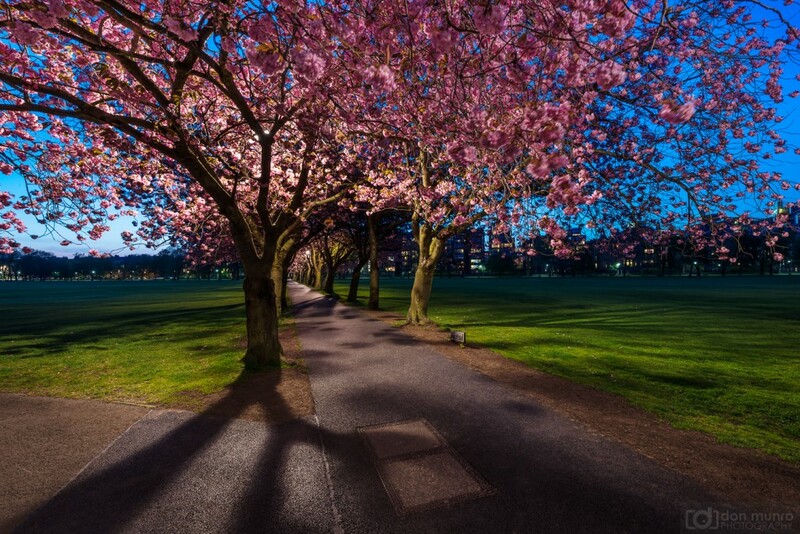 The avenues of Cherry trees within The Meadows look incredible in the spring time. This green space is another favourite place for locals to visit, relax or play sports, especially during the warmer summer months. Even our churchyards look beautiful. 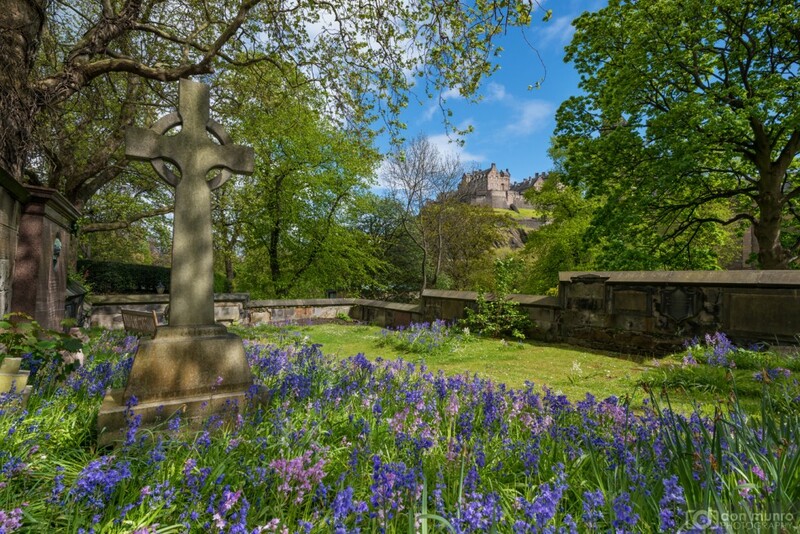 This is the grounds of St John’s Episcopal Church, looking up towards Edinburgh Castle. It’s a delight to enjoy the Bluebells here on a sunny spring day. With the main train station located between the Old and New Towns it couldn’t be easier to arrive in Edinburgh by rail. It’s also a short walking distance from the bus, taxi and tram stops so it’s easy to get to wherever you need to go. 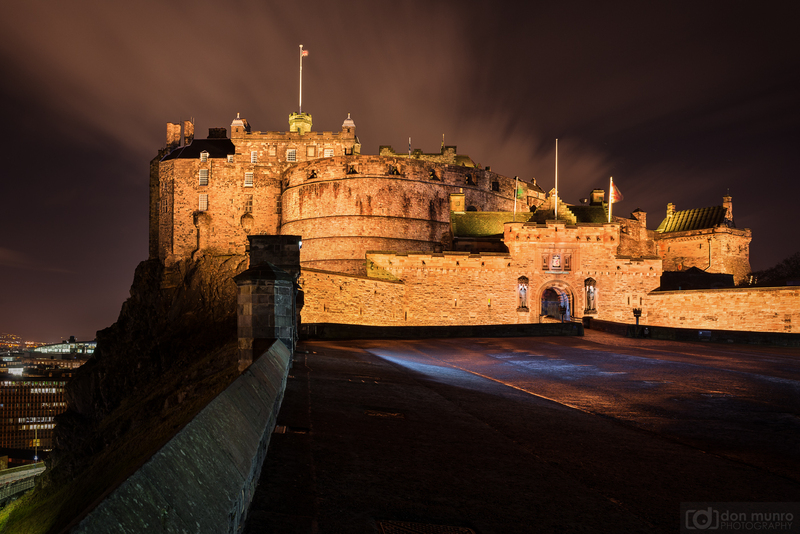 Attracting literally thousands of visitors each year, this is one of the highlights in the Edinburgh calendar. Every year performers come from all over the world to dazzle crowds with their energetic displays, vibrant dress and musical talents. 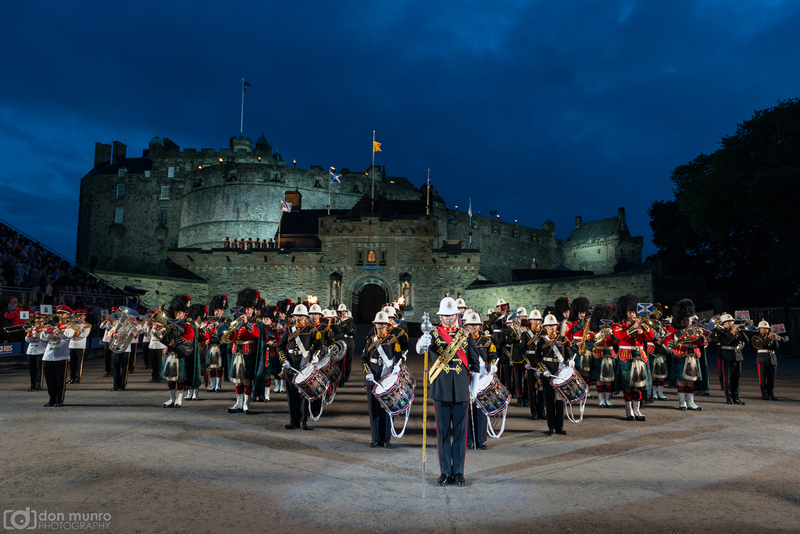 What better a setting for The Royal Edinburgh Military Tattoo than the esplanade of Edinburgh Castle. 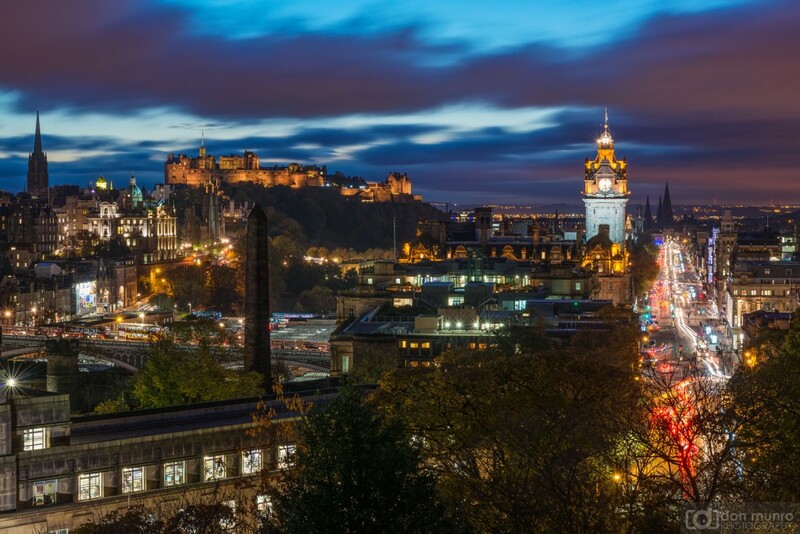 Edinburgh is a city of two halves – The Old Town and The New Town, both of which have been designated UNESCO World Heritage status. With its ancient buildings, fascinating history, cobbled streets and narrow closes, you could spend days (or years) exploring the Old Town and still not see it all. The Tolbooth Tavern is just one of the many beautiful old buildings you’ll see on the world famous Royal Mile. 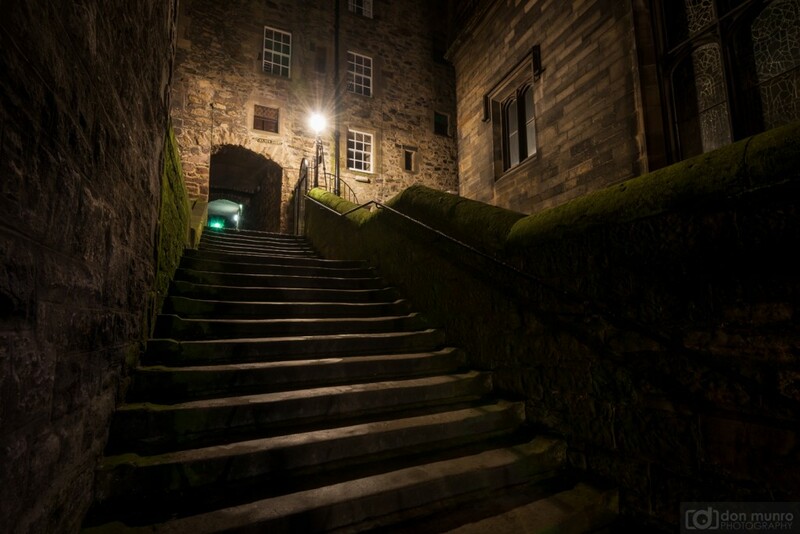 Barrie’s Close looks particularly good too, especially at night. It can be found near to St Giles. Take a walk through Milne’s Court and you might think you’ve travelled back in time. 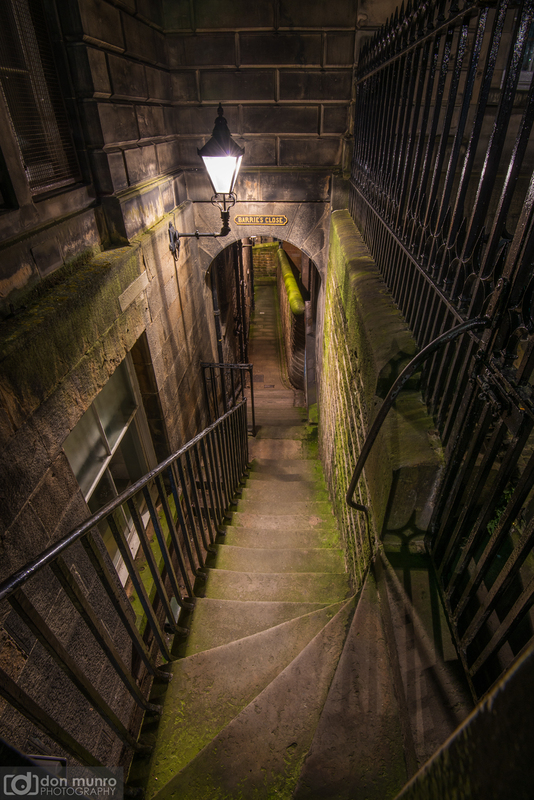 Steeped in history, this close has been a popular short-cut for generations of locals walking between The Mound and the Royal Mile. Make sure you turn around to admire the view behind you as well. 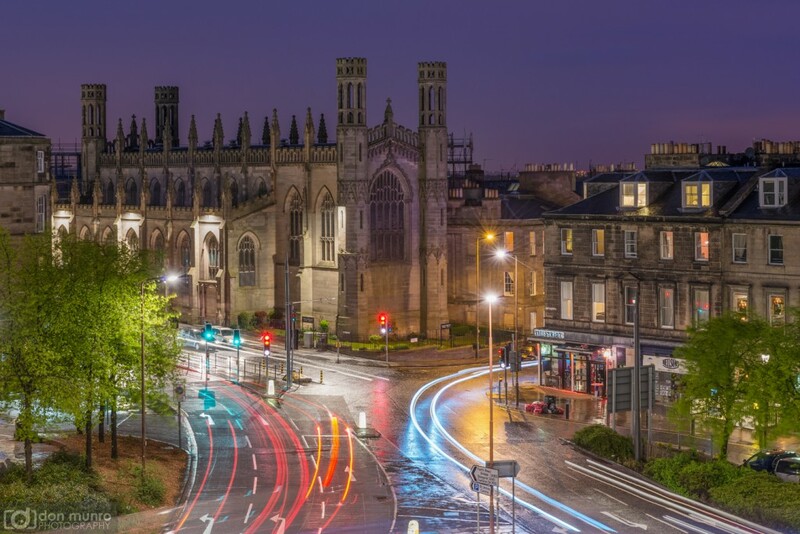 With it’s elegant Georgian town houses, world class shopping and quiet leafy lanes, the New Town is the other half of Edinburgh’s character. One lesser-known gem that’s a particular favourite is this beautiful little street known as Circus Lane. This photo was taken on Princes Street. 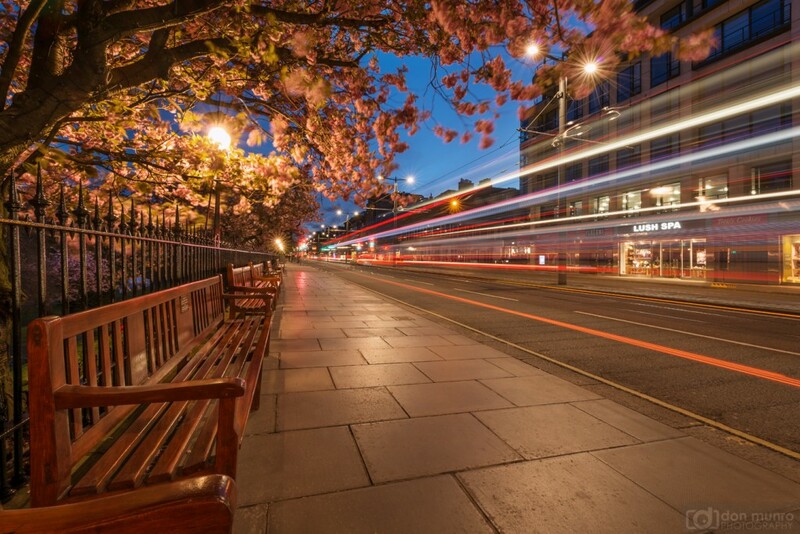 With great shops, stunning views over Princes Street Gardens and Edinburgh Castle, most visitors will find themselves walking along here at some point. Restaurants, bars, nightclubs and other venues. Edinburgh has a huge selection of venues to enjoy drinks or a delicious meal. 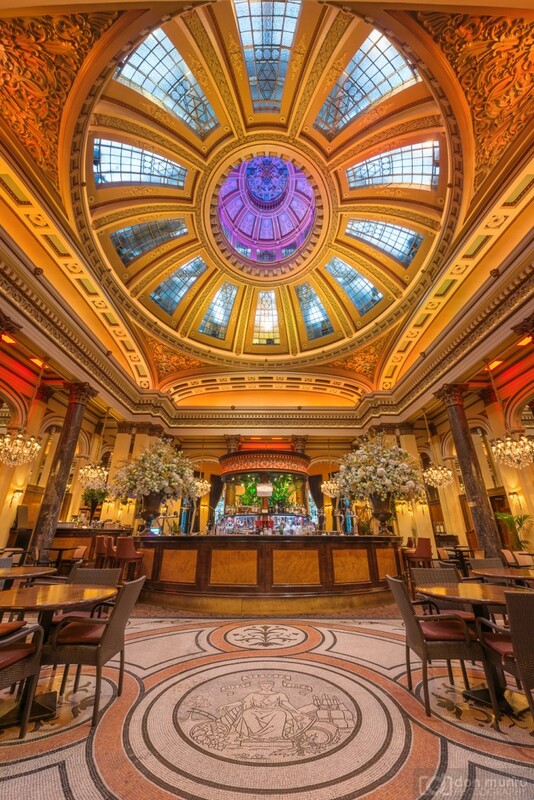 One of the most beautiful and opulent venues in the New Town is The Dome on George Street. A former bank, this venue is a must visit for anyone looking to enjoy the finer things in life. Stunning to visit at any time of year, it looks especially good during the Christmas festive period when they instal a tree and countless decorations. 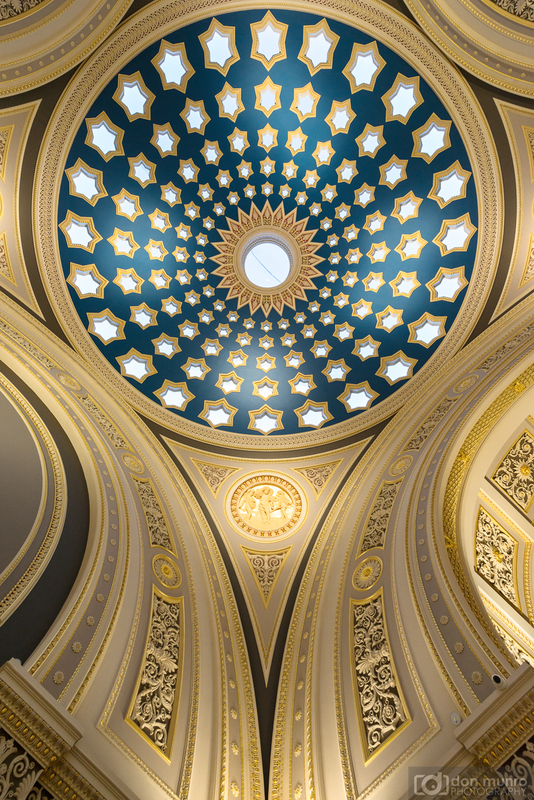 Even our working banks are beautiful on the inside, especially this one, The Royal Bank of Scotland at St. Andrew Square. 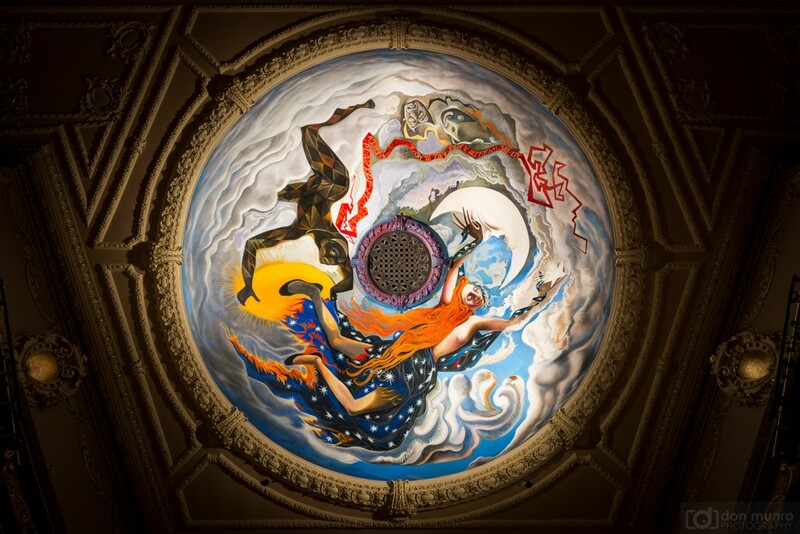 Visit The Kings Theatre and you’ll be treated to this stunning ceiling mural by John Byrne. 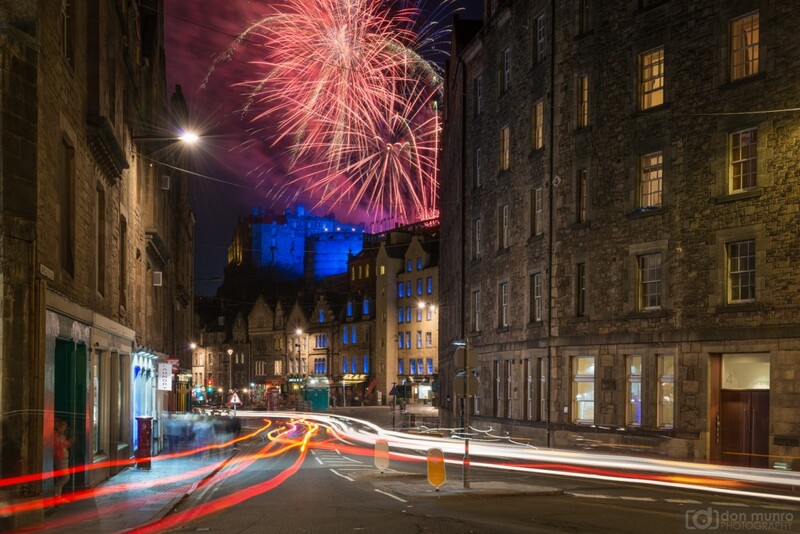 We love our fireworks here in Edinburgh and have several big displays every year. 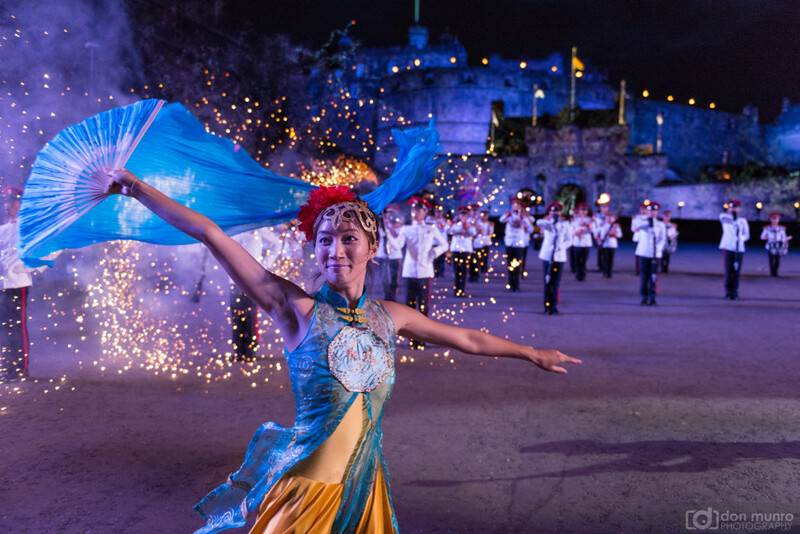 Highlights include The End of Festival Firework Display, The Royal Edinburgh Military Tattoo firework displays and the New Year celebrations. 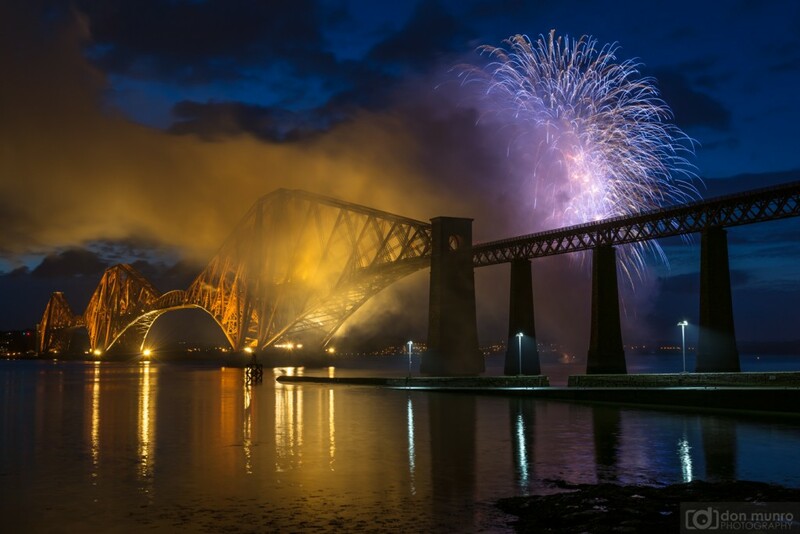 We’ll find any excuse for setting off some fireworks, even when one of our nearby bridges celebrates a birthday. 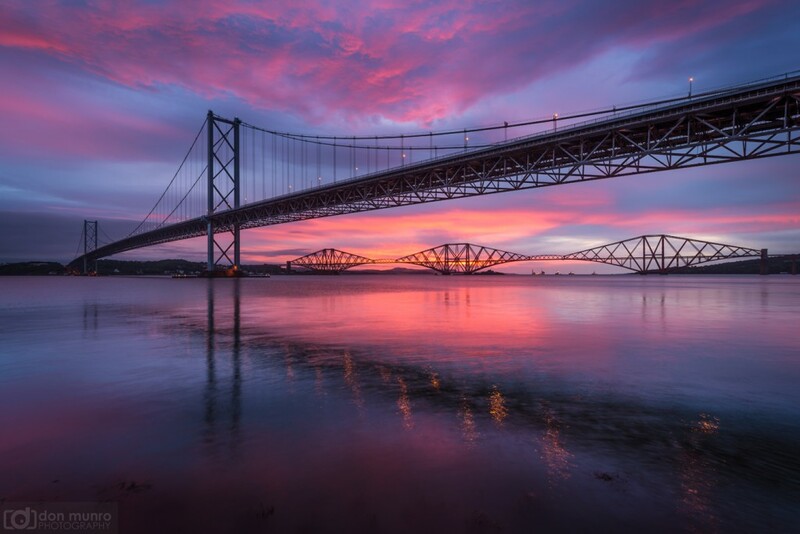 This is the Forth Road Bridge which connects the Lothians to Fife. We have plenty of festivals throughout the year. 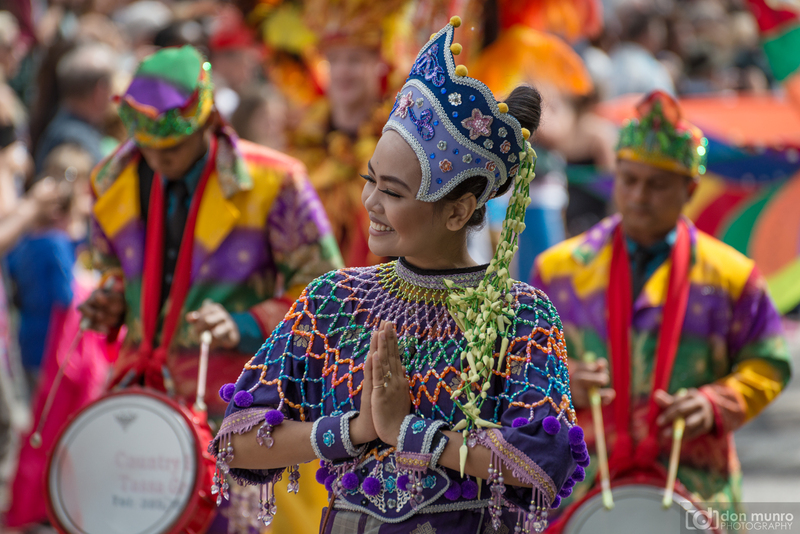 The Edinburgh International Festival, The Edinburgh Festival Fringe, The Edinburgh International Science Festival, The Edinburgh International Book Festival and The Edinburgh Jazz and Blues Festival, to name but a few. 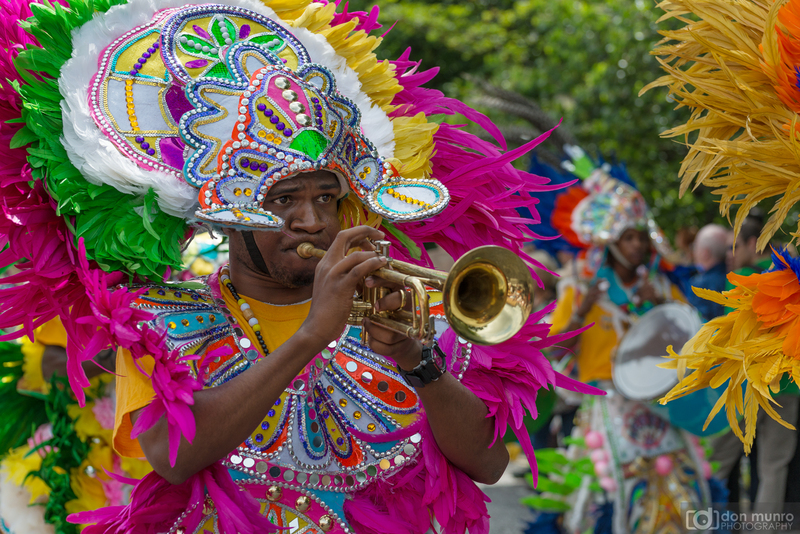 The Edinburgh Jazz and Blues Festival Carnival is definitely one of the most colourful to see (and hear). 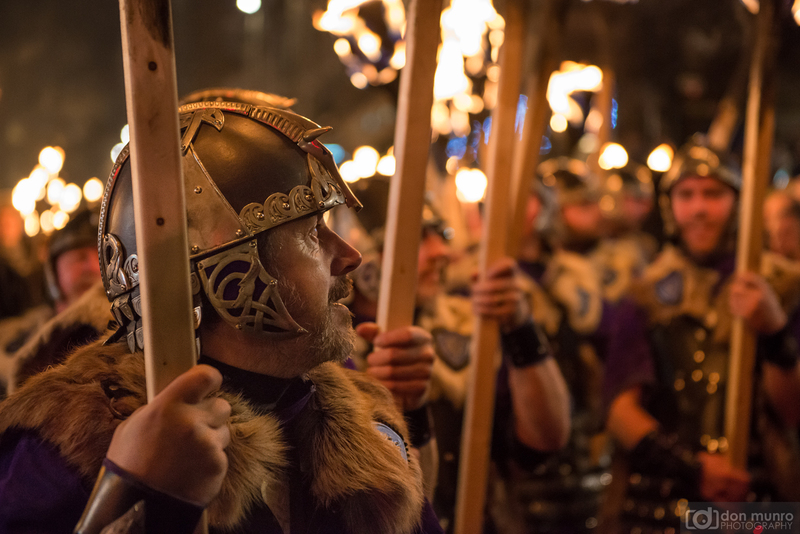 There’s also a spectacular Torchlight Procession, the opening event for Edinburgh’s Hogmanay. You too can buy a torch and join the many other thousands of people on this walk through the city. 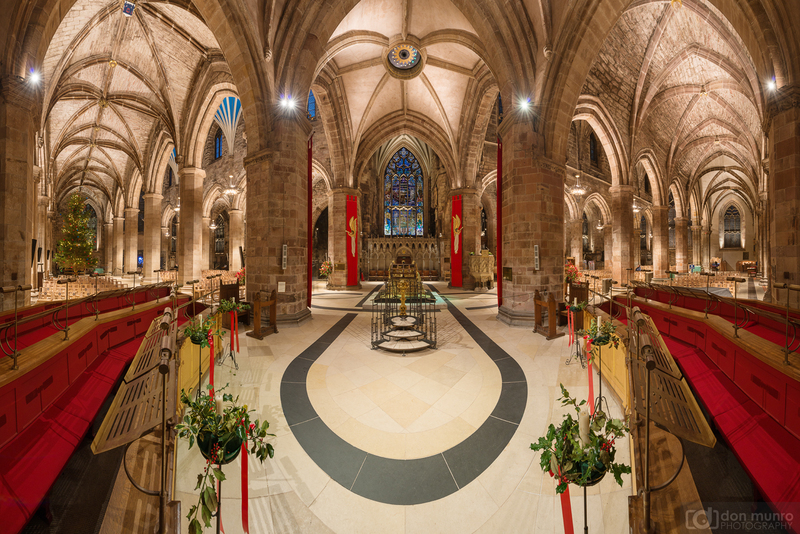 As well as the afore mentioned St. Giles, we have many other beautiful churches in and around our city. 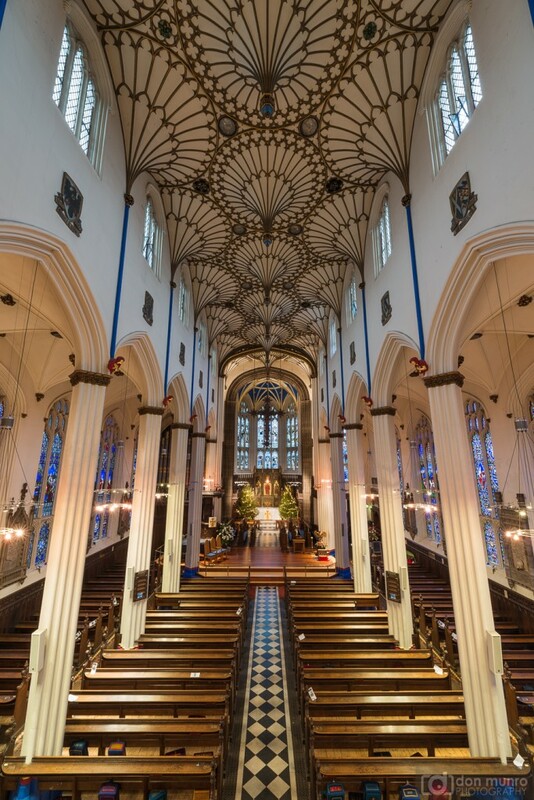 One of the most beautiful and elegant is St. John’s Episcopal Church at the west end of Princes Street. With delicate features and some of the best stained glass in the country this is not to be missed. Sometimes it seems like churches are on every corner. This is St Paul’s and St George’s Church at the top of Broughton Street, as seen from the luxurious Glasshouse Hotel. 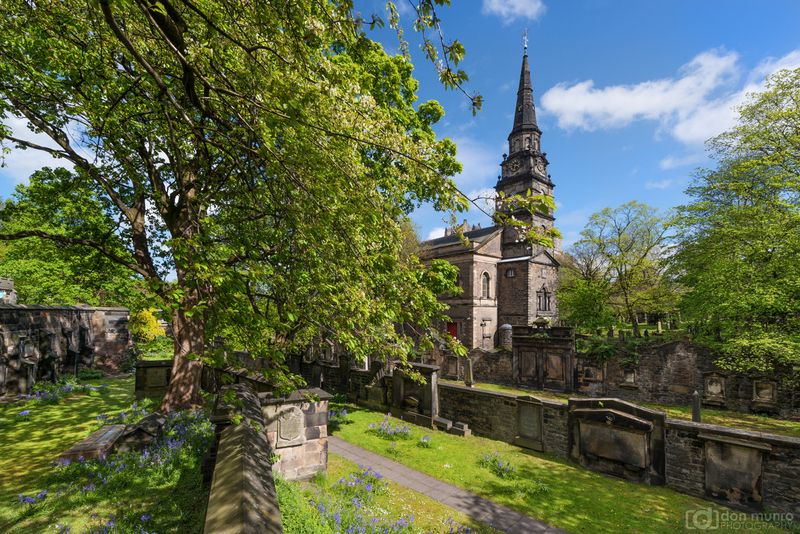 Don’t miss The Parish Church of St. Cuthbert with its fascinating grounds, ancient carved grave stones and numerous tombs. Another popular vantage point from which to view the city is Calton Hill. It also has several interesting buildings and monuments built upon it, including The Nelson Monument, The National Monument of Scotland and The Dugald Stewart Monument. This particular view can be seen at the base of the Nelson Monument, the highest point on the hill. Here’s another view looking west along Princes Street taken during sunset. From left to right you can see Edinburgh Castle, the clock tower of The Balmoral Hotel, The Scott Monument, the steeples of St. Mary’s Cathedral and finally the Dugald Stewart monument in the foreground. 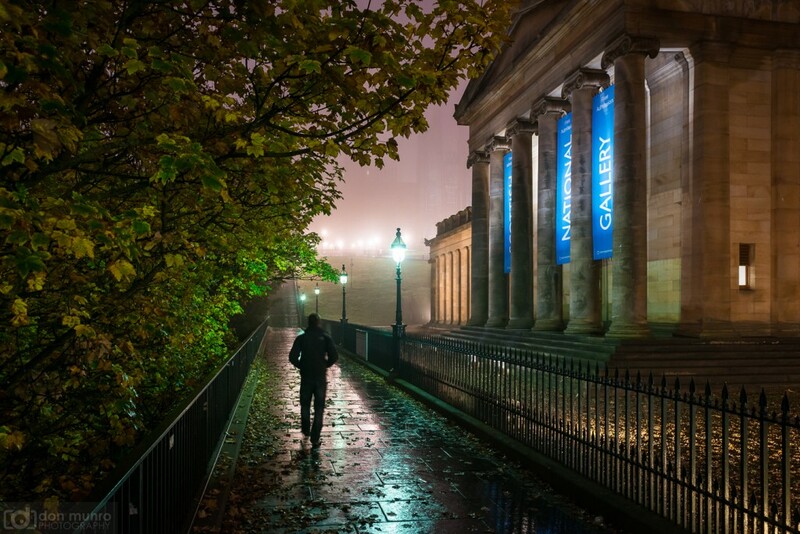 With The Scottish National Gallery, The Scottish National Gallery of Modern Art, The Scottish National Portrait Gallery and multiple other small galleries and art shops around the city, we have something to suit everyones taste. This particular image was taken at the side of The Scottish National Gallery on The Mound. 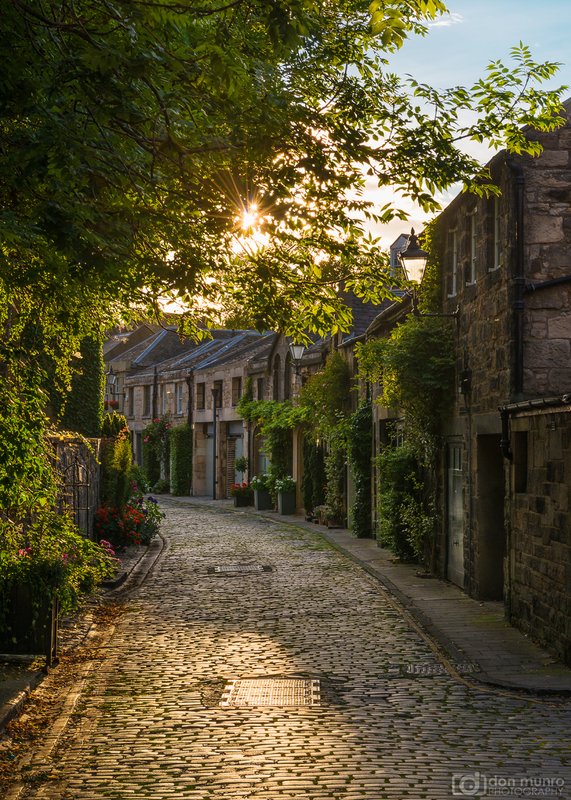 We’ve got several areas within the city with their own distinct character including this, Dean Village. 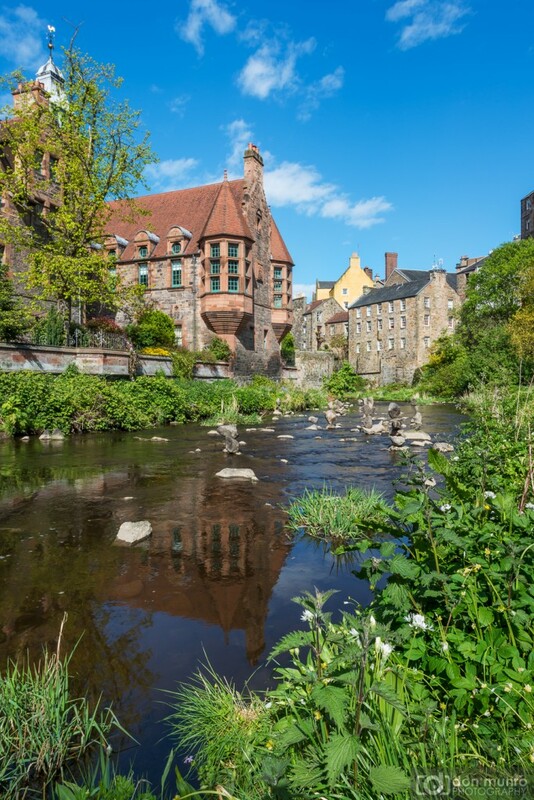 Hidden away within a valley on the Water of Leith, this tranquil oasis is just a short walk from Princes Street and used to be the centre of a successful grain milling industry (around 800 years ago). Take a wander along the river here and you’ll often spot wildlife, including the odd Heron patiently waiting to catch unsuspecting fish. Edinburgh may be known for its ancient buildings and streets but it’s also a vibrant modern city with some striking architecture. 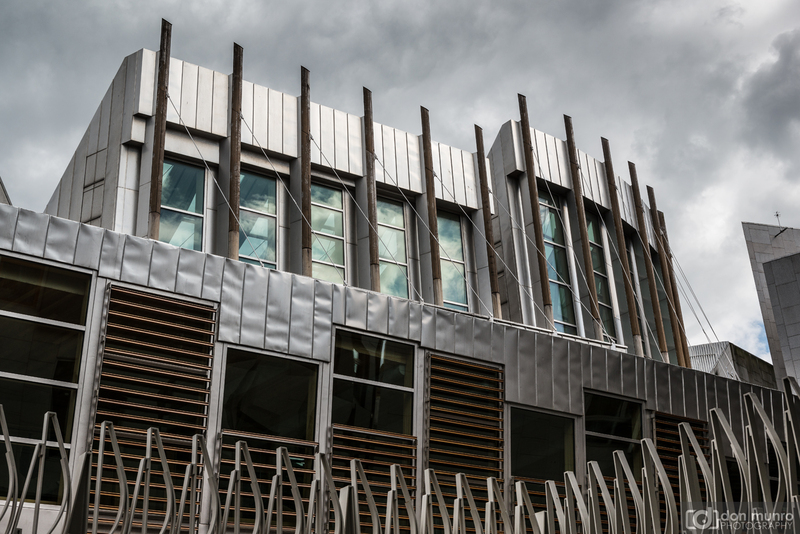 One of our best known modern landmarks is The Scottish Parliament Building at Holyrood. Located right at the bottom of the Royal Mile, this building stands opposite the Palace of Holyroodhouse. If you’d like to see this modern building from above you can climb the nearby Salisbury Crags. 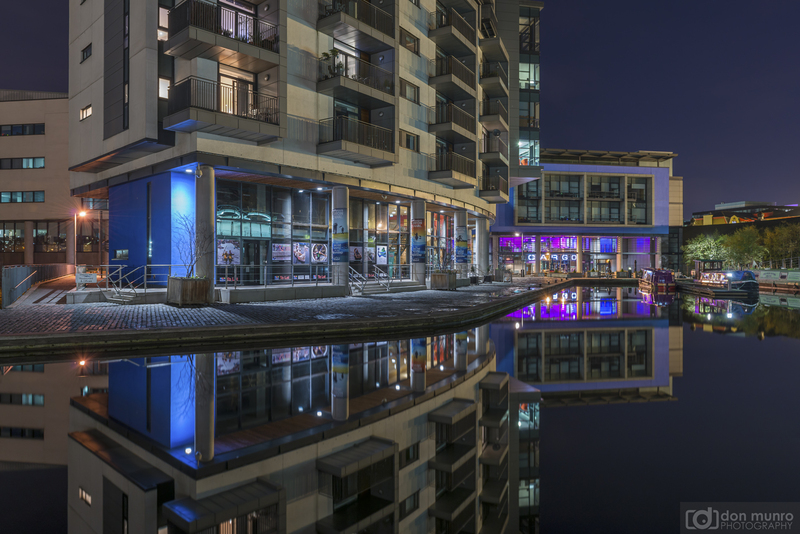 These modern apartments are located at the Lochrin Basin, the Edinburgh end of the Union Canal. They look particularly good on a calm night when their reflection shimmers in the still water. With its long history we have many monuments and statues to celebrate our famous residents. 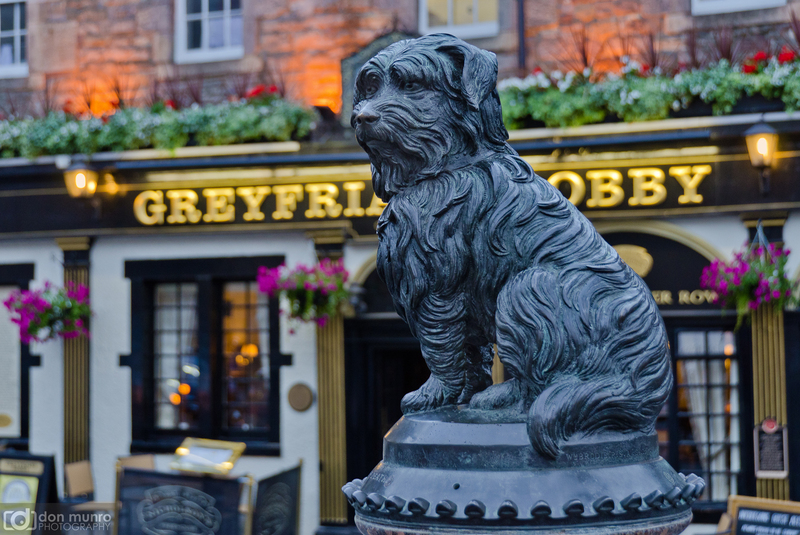 One of the most famous is actually in remembrance of a beloved wee dog, now known as Greyfriars Bobby. You can also enjoy a drink in the pub directly behind that’s been named in the dogs honour. 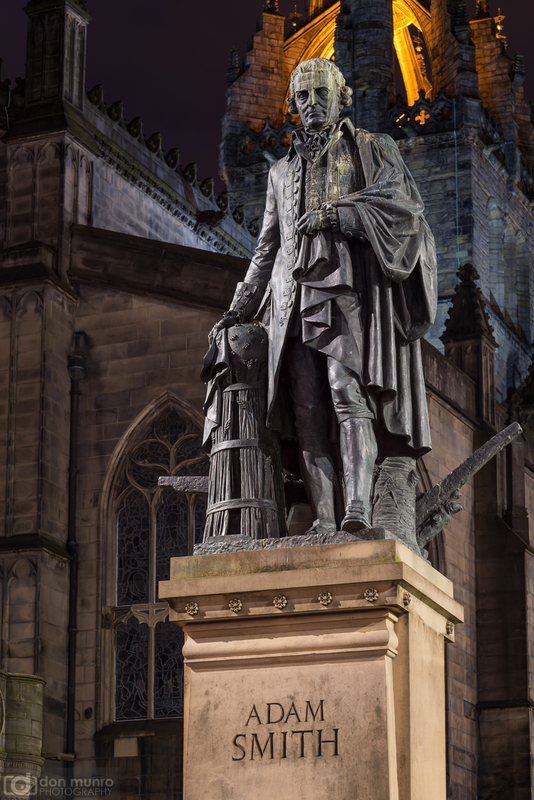 The Adam Smith statue on the Royal Mile. Adam Smith (1723-1790) was a moral philosopher, key figure of the Scottish Enlightenment, pioneer of the free market economy theory and the author of several books, most famously ‘An Inquiry into the Nature and Causes of the Wealth of Nations’ (1776). 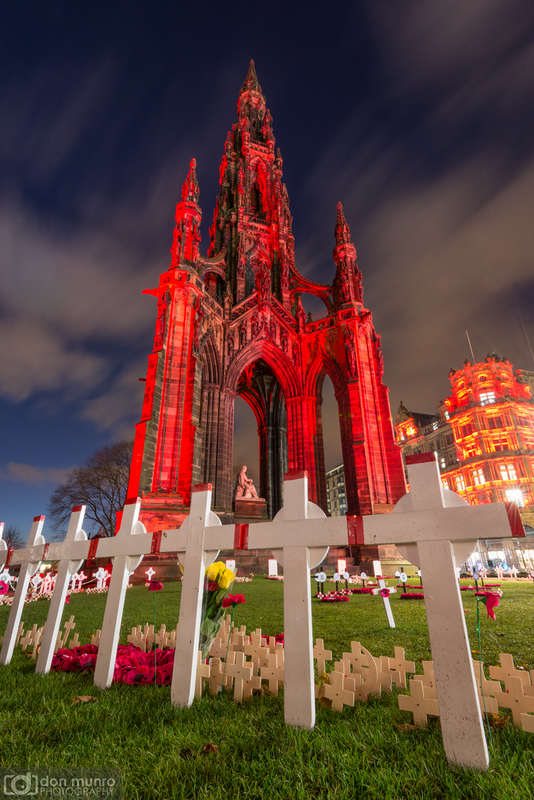 The Scott Monument in Princess Street Garden. Completed in 1844, this gothic masterpiece was built in honour of the Scottish author, poet and playwright Sir Walter Scott (1771-1832). At 61.11 meters tall it’s the largest monument to any writer in the world. If you’re feeling particularly energetic you can also climb the 287 steps within for some great views over the city. Old Calton Burial Ground contains many interesting tombs and monuments. Seen here on the left is the tomb of David Hume (1711-1776). He was an influential philosopher, economist, historian and essayist. 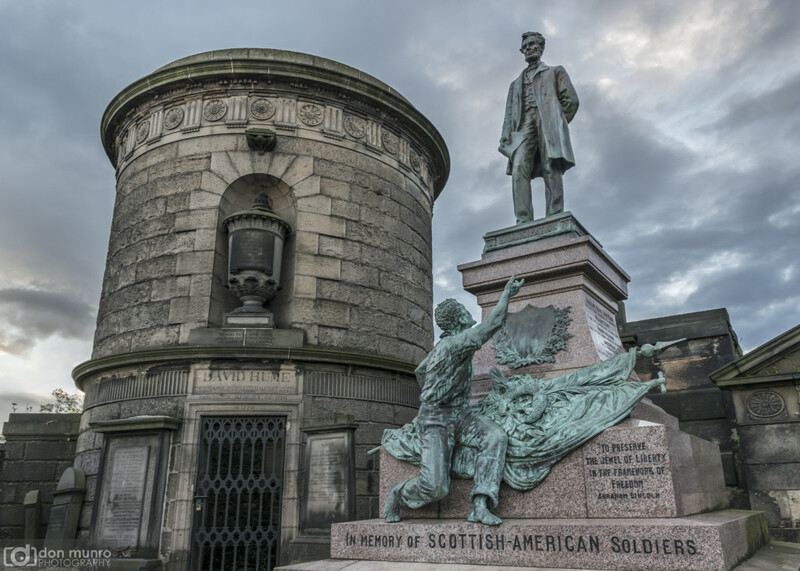 On the right is The Scottish – American Soldiers Monument, dedicated to the Scots who fought and died in the American Civil War. It depicts a figure of Abraham Lincoln with a freed slave at his feet. This is the only monument to the American Civil War outside the United States and was the first statue to a United States President outside her borders. The Shore, Water of Leith. We have our own historic port, just 2 miles north-east of the city centre. 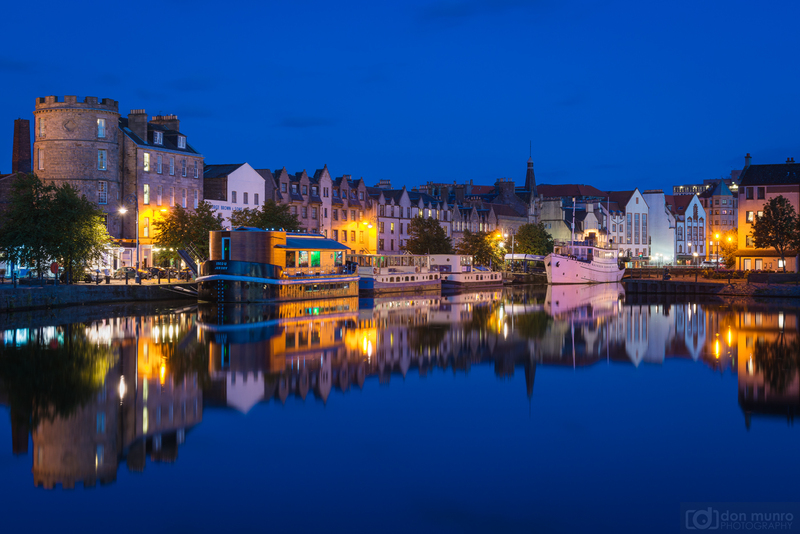 Once connecting Edinburgh to the rest of the world, the Port of Leith is full of history as well as having some great restaurants and bars. Edinburgh is also a great base from which to explore the surrounding area. With nearby hills, coastline, castles and other interesting villages and towns, you don’t have to travel far to see more great sights. This is the world famous Forth Bridge. Opened in 1890 and spanning 2,467 metres, this was the longest cantilever bridge in the world until 1917. Recently it was also designated a UNESCO World Heritage Site. 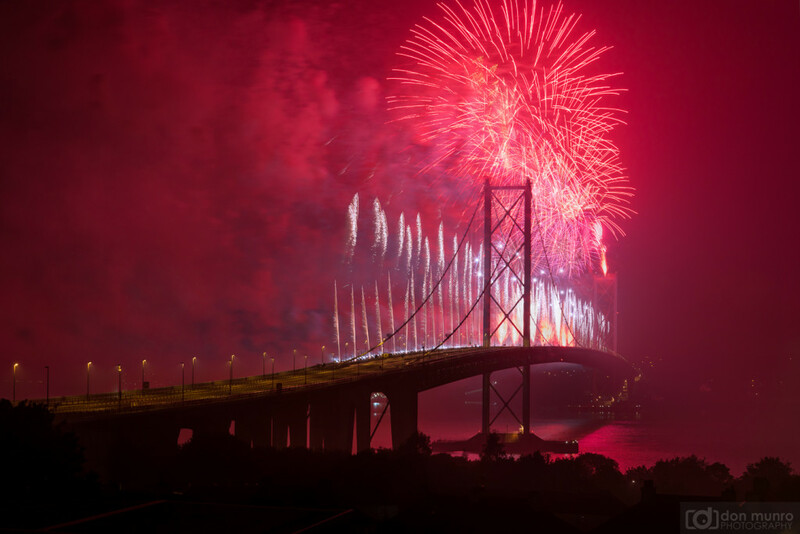 Just a few miles west is our Forth Road bridge. Here it is during a beautiful summer’s sunrise, as well as the Forth (rail) Bridge behind. 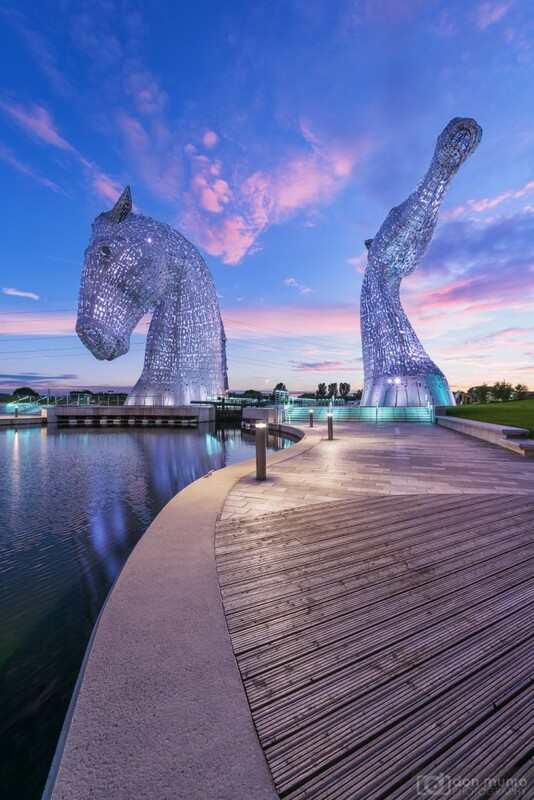 The Kelpies in Falkirk. These stunning and giant sculptures are about 45 minutes drive north-west of Edinburgh and are definitely worth a day-trip to see. While there it’s also worth visiting the nearby engineering marvel known as The Falkirk Wheel. The East Lothian coast has some stunning beaches to explore. Great for the whole family in the summer time, they’re are also a good place to view the night sky. 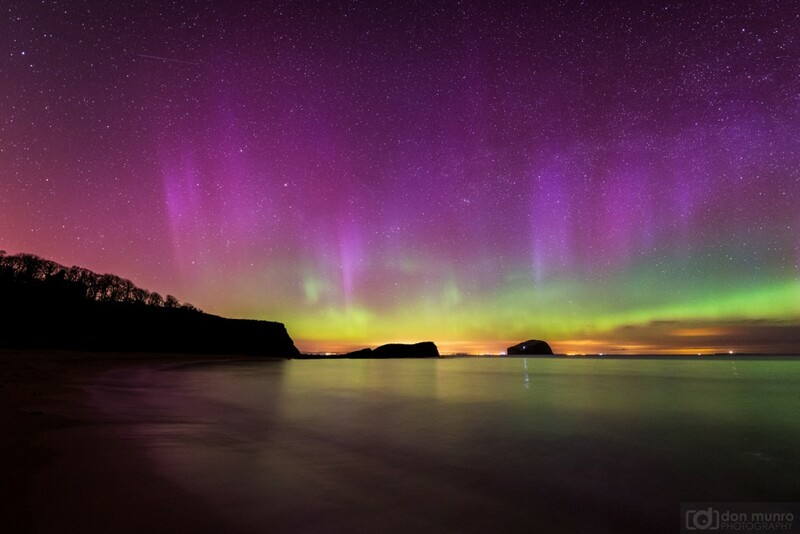 If you’re extremely lucky in the darker winter months you may even get to see the Aurora. Many thanks for reading. I hope you’ve found this post interesting as well as informative. All text and images by me, Don Munro – An Edinburgh local who’s passionate about his city and the photographer behind Edinburgh Photo Walks. If you would like to learn photography in Edinburgh please take a look at my Edinburgh Photography Tours.